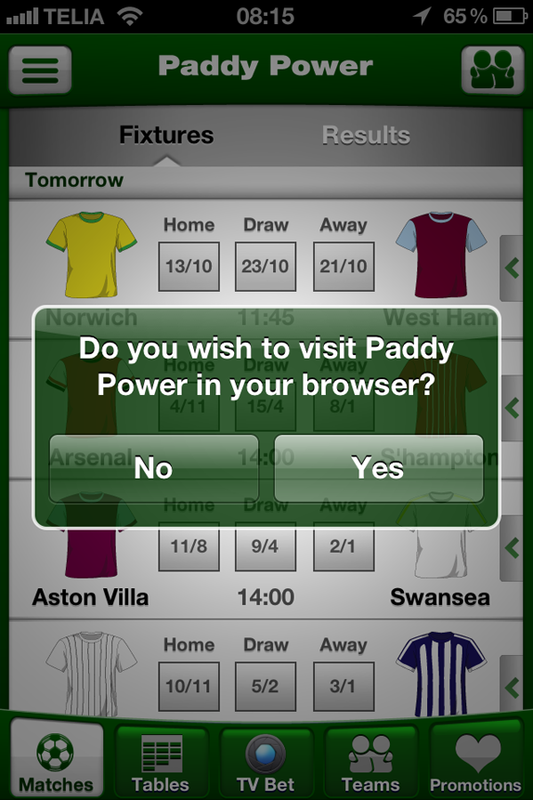 Paddy Power’s new innovative Premier League iPhone app lacks some crucial functionality. Paddy Power is one of the igaming companies that are pretty innovative. Last week they released a bingo app (read about my first impressions) and yesterday they released a new iPhone app for the their “Premier League fans”. In the new app Paddy Power customers can point at a Premier League match on their TV to get real time odds on that match. Image 1. 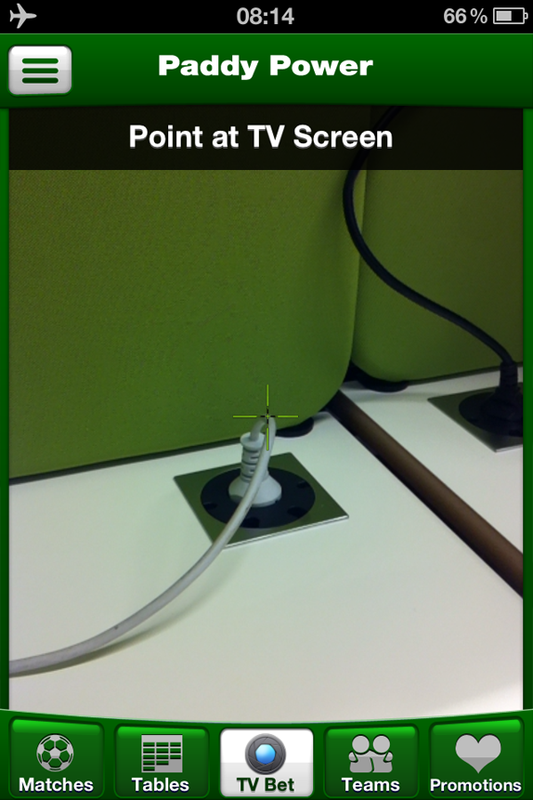 Point the app at your TV. In the “Matches” section you are able to see the upcoming fixtures and the odds on those matches. 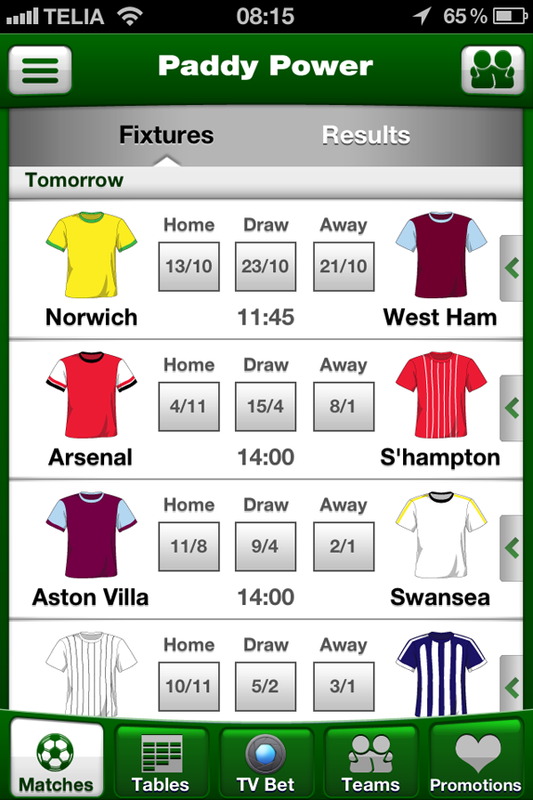 But the app lacks one crucial functionality: Being able to place a bet within the app. Image 3. Not possible to place a bet within the app. When you tap on one of the odds then you get an alert saying “Do you with to visit Paddy Power in your browser?”. I think this is where the app really fails. As a player I want to be able to place a bet within the app, not go somewhere else to do it! A later version of the app will hopefully add this functionality.